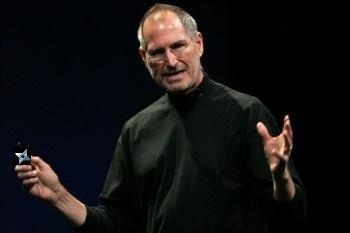 According to rumor, Japan has earned the wrath of Apple boss Steve Jobs after airport security prevented him from taking ninja throwing stars on board his private jet. There's an absurd - and yet hilarious - story that has been making the rounds today. According to SPA! Magazine, Apple chieftain CEO has claimed that he would never again visit the country of Japan, reports Bloomberg. What could have been the cause of this new-found enmity? A row with Japanese airport security over ninja throwing stars (or shuriken) found in the businessman's luggage, reportedly. According to the Japanese magazine, a security scan at Kansai International Airport near Osaka discovered the weapons in Jobs' carry-on luggage as he was preparing to leave the country after a family vacation back in July. While weapons being brought onto a passenger plane are a no-no, the issue was supposedly complicated by the fact that Jobs was flying using his own private jet - and argued with airport officials that it made no sense for him to try and hijack his own plane. Still, the officials persisted, and Jobs eventually gave in - before telling them that he would never return to the country. Bloomberg confirmed with an official at Kansai International that a passenger using a private jet had indeed been prevented from boarding their plane by security at the end of July for carrying shuriken. The spokesman explained that the airport did not have separate boarding policies for individuals using private planes, though he declined to give the name of the individual in question because of the airport's privacy policies. However, though somebody had run afoul of Japanese security at Kansai International Airport, Apple maintains that it wasn't Mr. Jobs. "Steve did visit Japan this summer for a vacation in Kyoto, but the incidents described at the airport are pure fiction," Apple spokesman Steve Dowling told Bloomberg. "Steve had a great time and hopes to visit Japan again soon." The story may be true and it may be a fabrication. In a way, though, I hope it does turn out to be the real deal - if only because the idea that Steve Jobs secretly wants to be a ninja strikes me as being especially amusing.